A Lloyd's managaing angency based in London is looking for an experienced pricing actuary to join their Dublic office. The chosen candidate would join a growing team and provide high quality, effective actuarial pricing support to the CEO and underwriting teams. 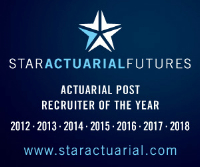 The ideal candidate would have 3-5 years post qualified experience as well as extensive experience of London Market (minimum 4+ years) and reinsurance pricing or strong (re)insurance modelling background. As well a high level of numeracy and Excel knowledge, strong technical skills and flexibility to apply these skills to develop pricing models that underwriters can use on a day-to-day basis, are advantageous.The successfull candidate will also have the ability to build relationships with underwriting and actuarial staff in London, exhibiting good communication skills (both verbal and written).